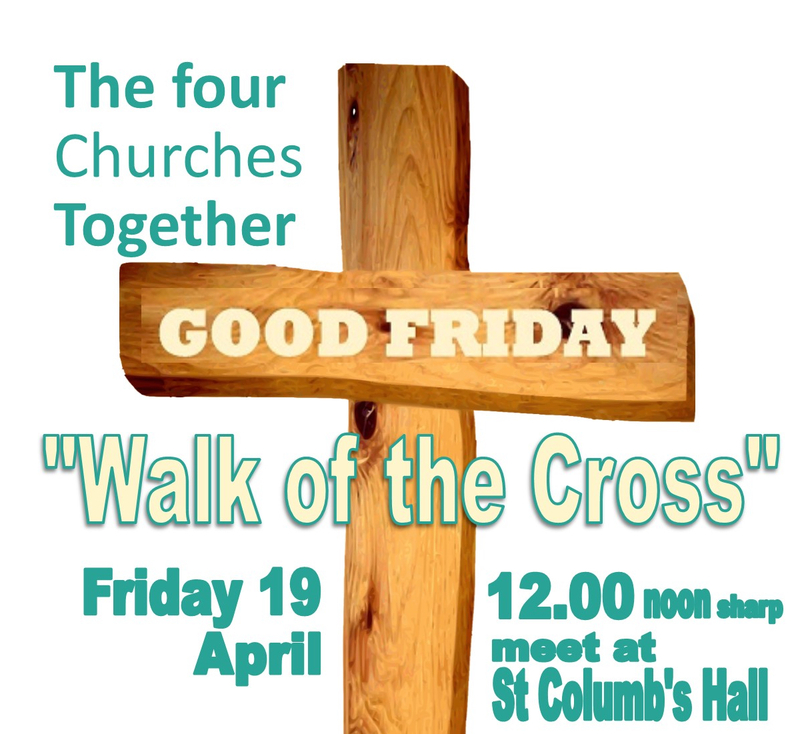 ​Christian walk of witness to take place on Good Friday 19th April 2019. The four Churches together 'Walk of the Cross' starts at St Columb's Hall at 12 noon and continues proceeding through the Richmond Centre, down Shipquay Street and into Guildhall Square. There will be stops for readings, singing, and prayers on the way. The cross will be carried by the people and concluding prayers will be offered at the steps at the Guildhall by the four church leaders. Join the walk at any point or wait for its arrival at the Guildhall — everyone welcome.